We’d love your help. 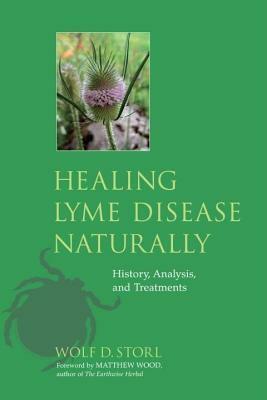 Let us know what’s wrong with this preview of Healing Lyme Disease Naturally by Wolf-Dieter Storl. To ask other readers questions about Healing Lyme Disease Naturally, please sign up. I picked this up because we recently had a pediatric case in our family that needed attention. After visiting multiple doctors we were told the only way to battle the disease was to take a 21 day course of antibiotics and retest a few months later. We noticed even after the antibiotics, there was still something brewing as symptoms would occasionally reappear. After researching myself and reading this book, I believe now that antibiotics are not the answer for everyone. People react differently to the disease. What I love about this book is that the author has a story to tell about his own experience and how he treated himself. He covers many methods of natural cures including Chinese Medicine, spiritual guidance, and plant use to name a few. There's a section pertaining to just the healing plants with descriptions for each. Many of the plants Mr. Storl deems useful are plants that we already had growing in our gardens. Typical plants like teasel, yarrow, elderberry, coneflower, and lemon balm are just some of the plants used as powders and teas. The book also covers the history of the disease, ticks and the different diseases they transmit, and information on bacteria and how it survives. It offers methods of protecting yourself from ticks, and how to keep your body healthy with diet and exercise. I was really fascinated with the section outlining the different paths of transmission. It turns out Lyme Disease doesn't just transmit from ticks. The book doesn't agree with the CDC. "Don't let it get to the point that you have accepted the diagnosis, because then your fate is sealed." I feel strongly about the quote above. I believe it's more important than ever that everyone be their own patient advocates because in many cases modern medicine is lacking proper treatments that truly heal the body versus just covering symptoms and ailments. Everyone is different and what if there is a cure for you? At this point I can't say for sure that the methods in this book are a 100% cure, but they have helped us. I believe in the power of plants and the principles outlined in the book make sense. I'm so glad I found this book and I recommend it to anyone dealing with Lyme Disease or for those who want to learn more. I am not sure how to rate this book. He gives really excellent information on herbs and the traditional uses of them. One of the last chapters about the history of syphilis is also very interesting. But he also mixes in a ton of random information, conspiracy theory type ideas, and shares a lot of different ideas on treating Lyme that isn't filtered through his personal experience, a doctor's clinical experience, let alone research. If this book hadn't been recommended to me by someone I trust, I am not sure how to rate this book. 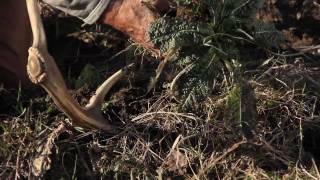 He gives really excellent information on herbs and the traditional uses of them. One of the last chapters about the history of syphilis is also very interesting. But he also mixes in a ton of random information, conspiracy theory type ideas, and shares a lot of different ideas on treating Lyme that isn't filtered through his personal experience, a doctor's clinical experience, let alone research. If this book hadn't been recommended to me by someone I trust, I probably wouldn't have made it through the first couple of chapters (the better chapters are later). Born in Saxony, Germany in 1942 with a green thumb and the gift of writing, and emigrating with his parents to the United States in 1954, cultural anthropologist and ethno-botanist Wolf Dieter Storl has had a special connection to nature since childhood. His specific area of research is shamanism and healing in traditional societies with a focus on the role of plants in all aspects of life, includ Born in Saxony, Germany in 1942 with a green thumb and the gift of writing, and emigrating with his parents to the United States in 1954, cultural anthropologist and ethno-botanist Wolf Dieter Storl has had a special connection to nature since childhood. His specific area of research is shamanism and healing in traditional societies with a focus on the role of plants in all aspects of life, including sacred symbolism, magic, medicine, foods, and poisons. He has pursued this interest in many parts of the world. Storl’s books are unique in that he does not treat nature only with cold objectivism. He is able to delve into nature's depths and supports his experience with ancient lore from all over the world that has been, for the most part, left on the wayside in the wake of objective science. He theorizes that science is not always as objective as it claims to be. He invites his readers on a journey into a world of nature that is completely alive and has its own rhyme and reason. Myths and lore from many cultures also have a prominent place in his writings, as he claims that the images portrayed in this way often tell us more about the true nature of things than dry facts can do.